Recently, I wrote a post about grilling pizzas using a great shortcut: Trader Joe's Pizza Dough. We played, ate, played, and ate some more. We tried lots of approaches and 4 different topping combos. 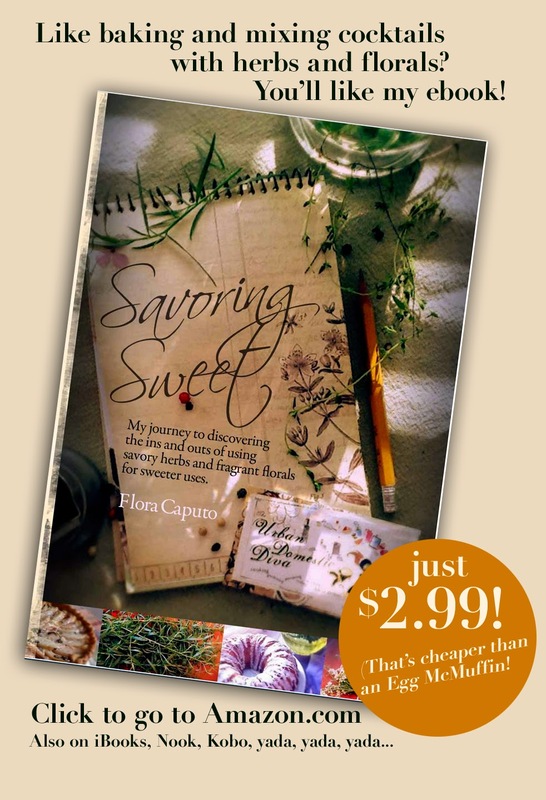 Our favorite is the one I am sharing with you here. 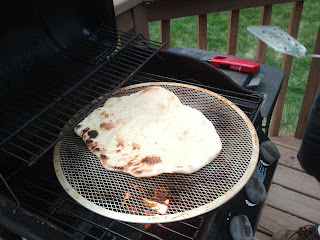 To fine tune your approach to pizza grilling, here is the post about what worked the best for us. 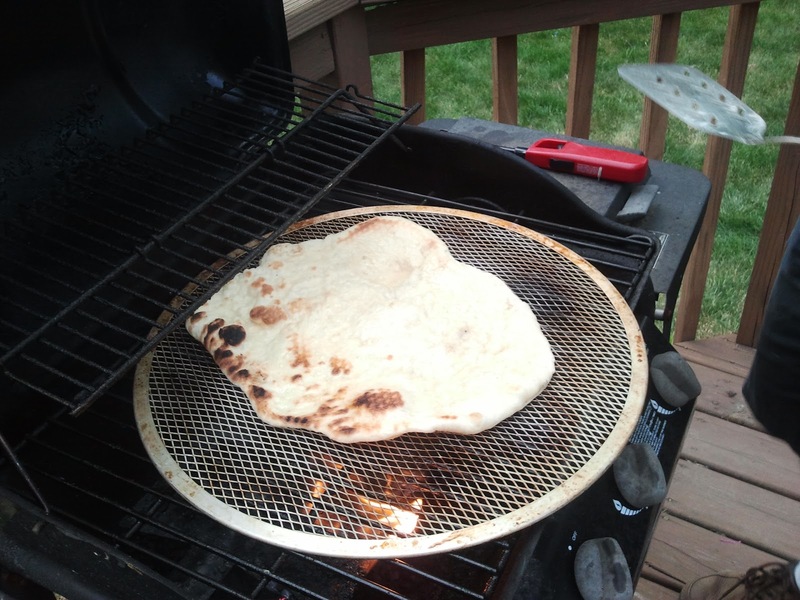 Please weigh in if you have had better luck using a pizza stone, grill rack itself, etc. 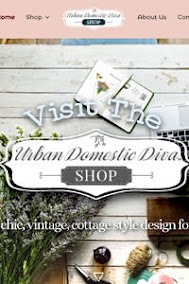 My blog is all about sharing! 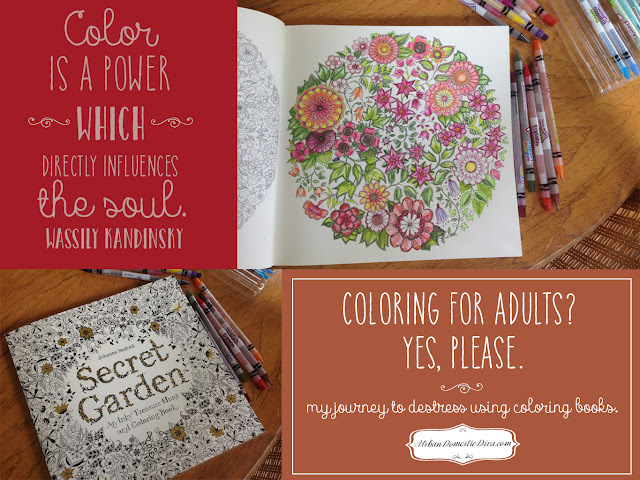 This was really a fun Sunday afternoon activity. The kids played as we casually grilled up different kinds of pizza. We just munched casually for hours, perfecting our approach. I would try a future "Pizza Party" for some easy entertaining on the deck with guests. It's laid back and fun. And with Trader Joe doing all the dough work, it's sooo easy. 1 lb. 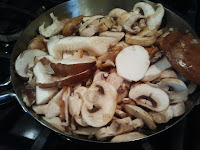 mixed mushrooms, cleaned, trimmed and sliced (I had 5 oz. sliced Button, 4 oz. Shitake, 3 oz. baby Bellas...go "wild" with what you can find! Heat up your grill. Follow the instructions in this post. 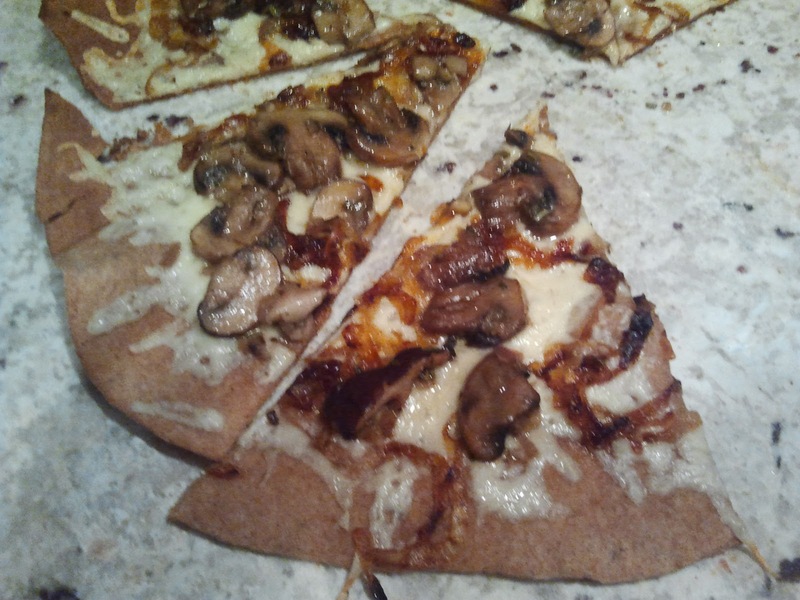 Basically you want a hot flame to pre-cook the dough, then a low flame to cook the pizza once topped. You can use two areas of the same grill or two separate grills. 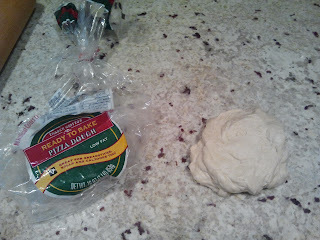 Let the dough sit out at room temp. for at least 20 minutes. Mix the oil, red pepper flakes, salt and smashed garlic in a bowl. Set aside. In a heavy skillet start the onions. Melt the butter with the olive oil. over a medium heat, cook the onions until they are a deep golden brown and caramelized-up to 30 minutes. 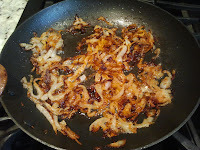 Toss occasionally as onions cook down, but don't over stir. 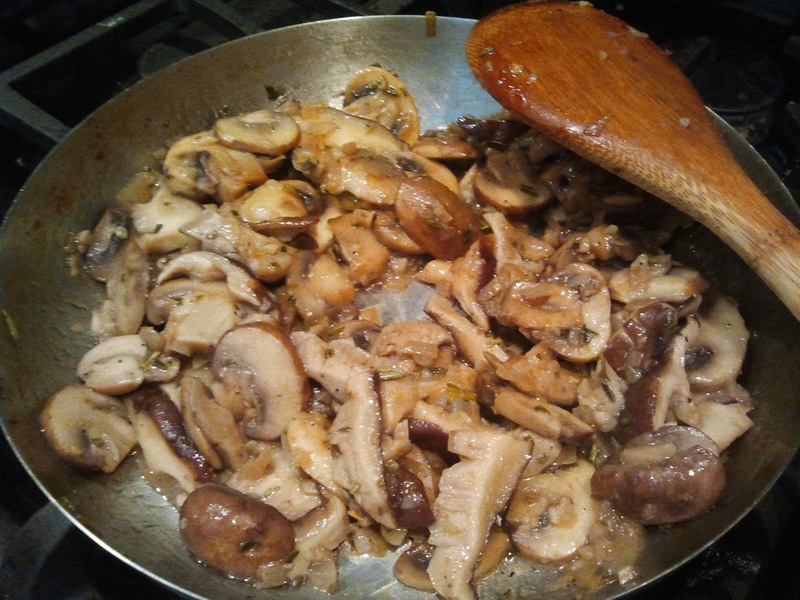 In another skillet, start the mushrooms. Melt the butter with olive oil. 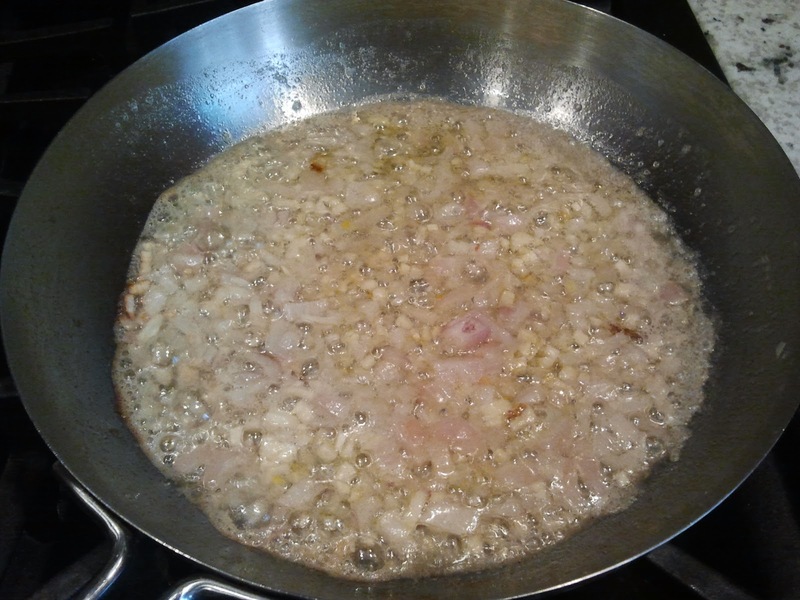 Add the garlic and shallots, and saute until soft. Add the mushroom and toss around. Cook until the mushrooms begin to release their juices, then add the wine. Cook on medium low until all the liquid is absorbed, stirring occasionally. 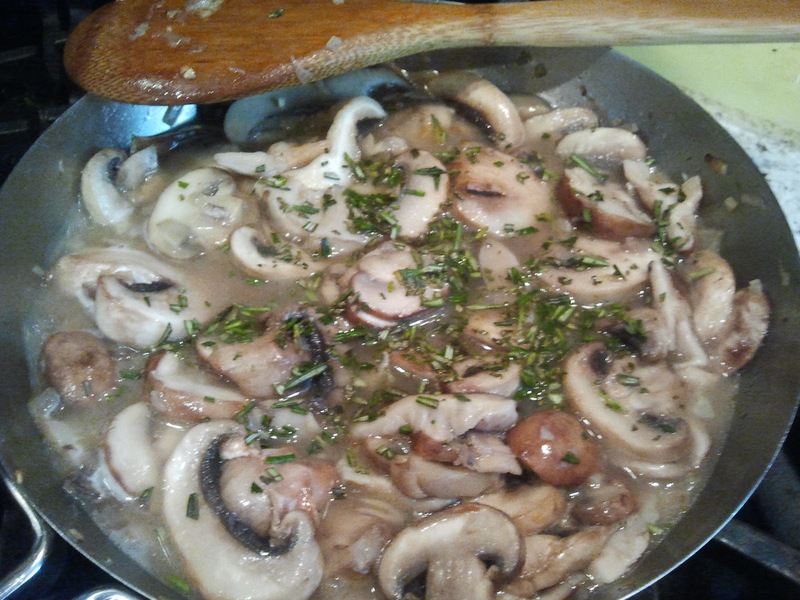 Add the Rosemary, season with salt and pepper and set aside to cool a little. And now, the dough. Split the dough into two equal parts. 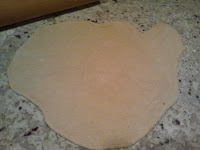 Roll the first crust into a 10-12" round on a well floured surface. 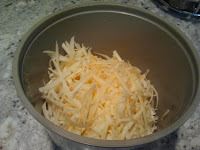 Brush the top lightly with the garlic oil that has been set aside. Flip the dough over on to a wire mesh pizza pan, oiled side down. Now brush the top facing you. Grill on a hot flame for two minutes with the grill covered. 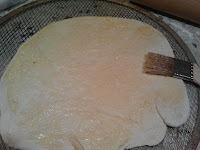 Using tongs and a spatula, carefully flip the dough. Grill on the opposite side. Carefully take the pizza to a heatproof work surface. Top with 1/2 the mushrooms, 1/2 the onions, and sprinkle half the Fontina over it all. 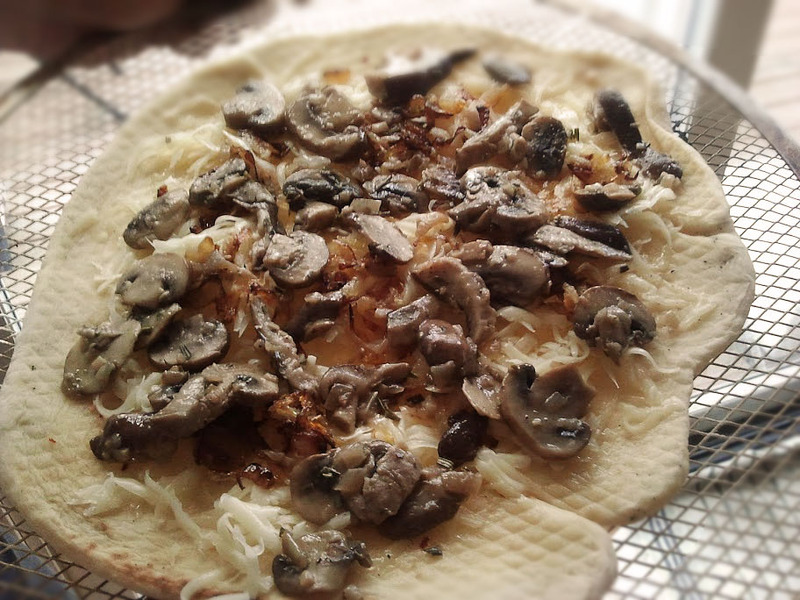 Drizzle once around the top with extra olive oil. Place back on the grill side with the low, indirect heat. 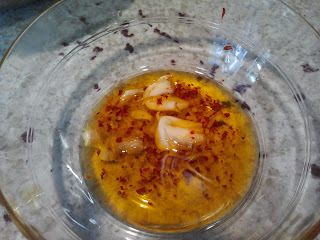 Cover and cook for 10-15 minutes, or until things are hot and bubbly.